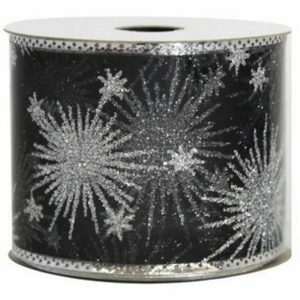 Add some Glittered Floral Gold Taffeta Ribbon to your home decor this holiday and listen to all of the compliments and conversation that it generates! 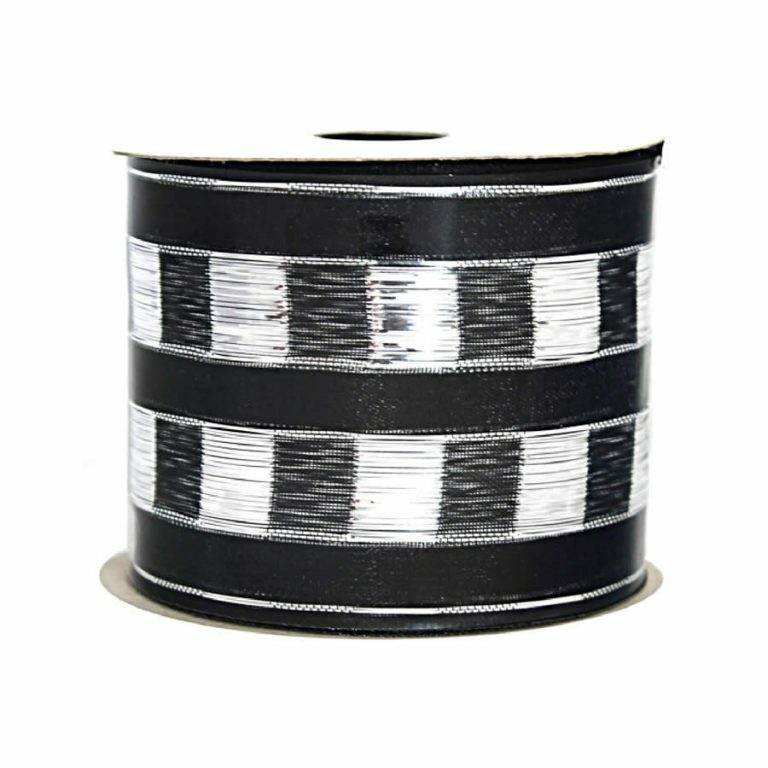 Each beautiful spool of quality ribbon is 9-metres long and approximately 7cm wide. The timeless pattern gives this ribbon a bit of a vintage flair that will bring a nostalgic look to your decor and projects. 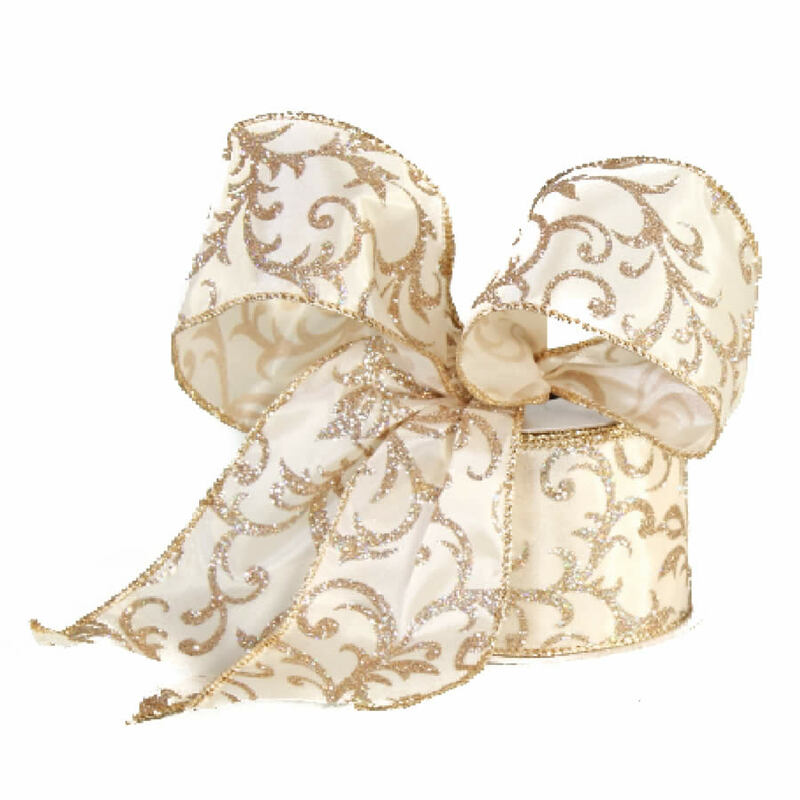 The soft gold colour of the ribbon is accented by glittered vines in an almost paisley pattern. The sparkling gold trim hides a wire edging so you won’t have to worry about your bows drooping or your trims coming untied. 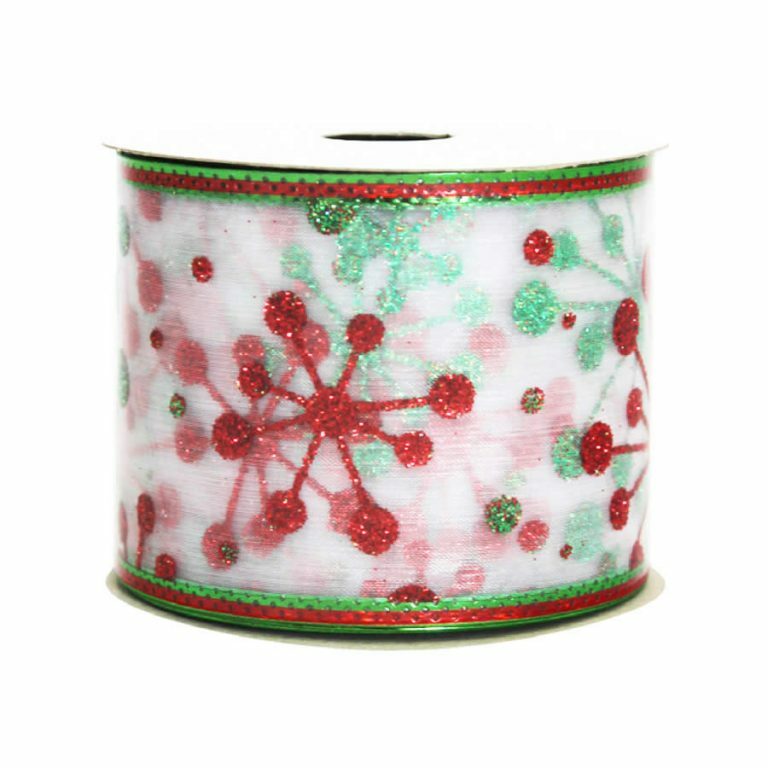 This wire edging allows you to create full, lush bows and accents that will last for holidays to come. This ribbon is also reusable so it could be a cost-effective alternative to purchasing prefabricated bows and trims this season. 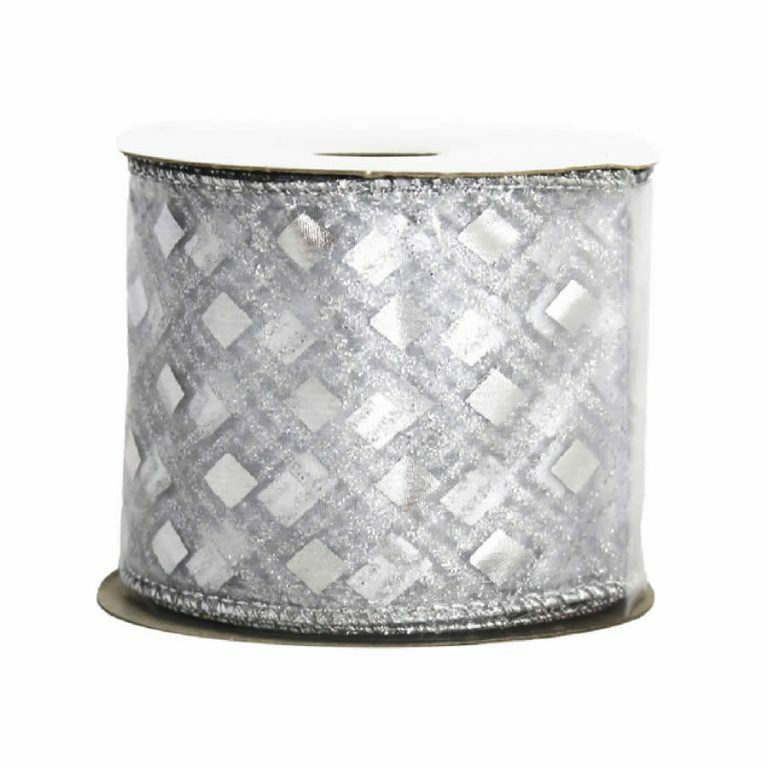 The metallic tones and classic design of this ribbon is sure to please, and will seamlessly meld with your traditional holiday decor.